Amazon may be a prime customer of ATSG and Atlas Air, but both aircraft providers saw third-quarter losses despite increasing operations for the etailer. Increased expenses and hurricanes swept through Atlas Air’s figures, leaving the embattled US carrier with a $24.2m net loss. Revenues of $535.7m (up 19.5%), leading to a doubling of operating income, at $52.7m, resulted in a near-6% upturn in earnings (EBITDA) of $99.5m. However, this was not enough to prevent a more than three-fold increase in net losses between June and September. In a statement, the carrier blamed the losses on the tax impact of non-deductible expenses as well as the impact of recent hurricanes on operations. President and chief executive William Flynn, however, said the near-20% increase in revenues and block hours for the quarter “encouraged” him. “Reflecting the strong demand for our services, yields rose and the utilisation of our aircraft increased,” said Mr Flynn. Mr Flynn said Atlas also began operating its seventh 767-300 for Amazon in August – three more were added in October – and said it remained on track to have 20 at Amazon’s service by the end of 2018. Alongside this, Atlas started operations for two new customers, DHL Global Forwarding and Hong Kong Air Cargo, in Q3 and added its second 747-400 freighter for Nippon Cargo Airlines. However, court filings from Atlas pilots in a lawsuit launched by the carrier claim Atlas’s “disregard for its employees” was “threatening” its ability to deliver for customers, including DHL and Amazon. A statement from Airline Professionals Association, Teamsters Local 1224, agreed with Atlas’s claim that the “airline faces serious challenges to get the job done” but disagreed with the root cause. President of the Local 1224 and Atlas pilot Daniel Wells said: “Company executives are trying to blame dedicated pilots for their own management failures and intransigence that created this crisis. Alleging unionised pilots were to blame for mounting scheduling failures and customer scrutiny, Atlas requested a temporary injunction against “intentional” go slows and service interruptions. The US District Court of Columbia completed the hearing earlier this month with a ruling on the requested injunction expected before December. Despite the weak quarter, Atlas’s nine-month numbers were upbeat as revenues climbed 15% to $1.5bn, leading to a 102% upturn in operating income of $135m and 7% growth in net income ($14m). Earnings also grew nearly 11% compared with 2016, at $265m. However, Atlas experienced a $12m loss in accounts receivable and saw losses from discontinued operations increase 8.7% to $859,000. Mr Flynn said the “future” for Atlas and air freight was “bright”, with growth in Asia and an expanding global middle class “transforming” the economy. “Increased disposable income will support a strong future for global trade and the consumption of goods,” he continued. 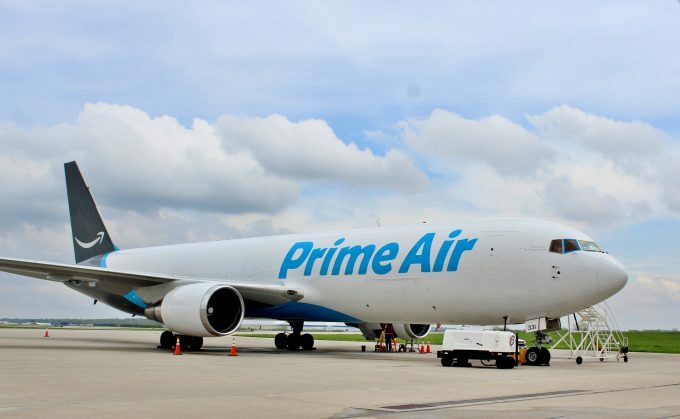 Atlas will perhaps gain solace from Amazon Prime Air’s other provider, Air Transportation Services Group (ATSG) with 20 aircraft servicing Amazon, which also had a turbulent quarter. Soaring revenues and operating incomes, both up 31% to $254m and $18.9m, respectively, failed to offset net losses for ATSG, which hit $32.8m compared with a $2.1m profit in the third quarter of 2016. But with earnings continuing to grow, up 26% to $65.9m for the three months, the carrier seemed generally pleased with its performance. Chief executive Joe Hete said ATSG had achieved its adjusted earnings target for the period, representing its eighth consecutive quarter of double-digit revenue increases. “We remain on a strong growth trajectory, thanks to our key role in air express networks benefiting from powerful ecommerce trends,” said Mr Hete. 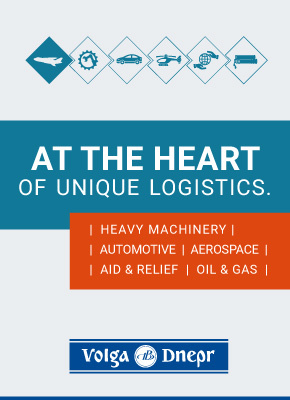 Executive council chairman at APA Teamsters Local 1224 and ATSG subsidiary ABX Air pilot Rick Ziebarth said he was “proud” to have contributed to “another strong quarter” for ATSG. Citing ABX president David Soaper, Mr Ziebarth said these dwindling numbers had led to ATSG and carrier ABX Air turning down new business opportunities. “Despite turning down business, Mr Soaper recently threatened to furlough 36 pilots in January, 15% of the current pilot force, if a new collective bargaining agreement was not reached,” he said. Mr Hete said he didn’t anticipate a strike – which the carrier experienced last year – noting that all parties were in negotiations.